Salman Khan and Katrina Kaif have paired up for Tiger Zinda Hai. Katrina Kaif and Salman Khan are in Austria for the first schedule of Tiger Zinda Hai. Salman Khan starrer film has been a talk of the town. We would like to inform Salman’s fans a very interesting action sequence the actor is gearing up for. 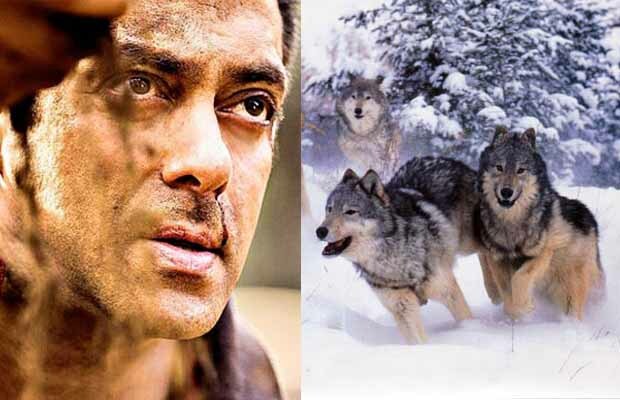 The actor will shoot for an action scene with a pack of wolves. Director Ali Abbas Zafar has roped in Hollywood’s award-winning action director Tom Sturthers. He is appointed to choreograph the stunt sequences in the film. He brought his action skills in Hollywood films like X-Men: First Class, Inception, Batman Begins, Dark Knight and Dark Knight Rises. With International crew being on board for the Bollywood film, it seems Tiger Zinda Hai has much to offer that one might have not expected. Tiger Zinda Hai is a sequel to the hit romantic action film, Ek Tha Tiger (2012). Ali Abbas Zafar replaces Kabir Khan as the director. The film is said to be the story of an Indian spy (RAW) code-named Tiger. He falls in love with a Pakistani spy agent during an investigation. Previous articleTVF Molestation Row: FIR Filed Against CEO Arunabh Kumar! Next articleMasterChef Judge Vikas Khanna Writes An Emotional Post About Losing His Dad That Will Leave You In Tears!